The Qatar China 2016 Year of Culture kicked off at Katara Cultural Village yesterday with a wide range of acrobatic, dancing and singing performances. The ceremonial event was attended by several officials, including Qatar’s Minister of Culture, Arts and Heritage Dr. Hamad bin Abdul Aziz Al Kuwari, Chinese Minister of Culture Luo Shugang and Chinese ambassador to Qatar Li Chen. Last night’s Jiang’nan style show was performed by the Zhejiang Song & Dance Theater and Zhejiang Folk Art & Acrobatics General Troupe. The audience consisted of a mixed crowd of expats from China and other nations, as well as Qataris. Speaking to Doha News, many expressed pride and nostalgia after watching the show. Sunday night’s festivities were among the first in a series of scheduled events scheduled to take place throughout the year. They include a showcase of contemporary Chinese artists, titled “What about the Art?” at Al Riwaq. It will be curated by New York-based Chinese artist Cai Guo Qiang, who exhibited a solo show in Qatar at the Mathaf Arab Museum of Modern Art in 2011. Other confirmed events include an exhibition titled, “Silks from the Silk Road – Chinese Silk Art” at the Qatar Museum Gallery at Katara. 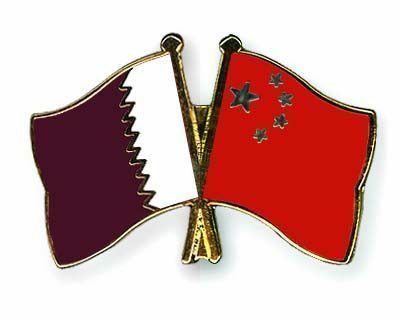 Meanwhile, China will host several activities focused on Qatar’s heritage, culture and arts including performances by Qatar Philharmonic Orchestra in Beijing, Shanghai and Guangzhou, the state news agency added. Speaking at a press conference last week to officially announce the Qatar-China Year of Culture, Chinese ambassador Li Chen said the initiative is a way of boosting ties between the two countries. However, the Year of Culture will help expand those bonds beyond politicians and diplomats to all residents. “The friendship of our two countries will lie in the hands of our two people,” the ambassador said. He said did not know the exact number of Chinese citizens living in Qatar except that it was in the “thousands” and could exceed 10,000 individuals.